What the Hell is a Millennial Anyway? It would be difficult to find a female music artist who was more successful than Aretha Franklin. She was the most charted female music artist in Billboard's history, with a total of 112 singles charting. She sold over 75 million records worldwide. She has been inducted to multiple halls of fame, and was the first female performer to be inducted into the Rock and Roll Hall of Fame. There is probably no modern genre of music, from rhythm and blues to rock, that has not felt Aretha Franklin's influence. Sadly, Aretha Franklin died yesterday at the age of 76. The cause was pancreatic cancer. Aretha Franklin was born on March 25 1942 in Memphis, Tennessee. Her father was Baptist minister and civil rights activist C. L. Franklin. Her mother was a talented pianist and singer. When Aretha Franklin was only two years old the family moved to Buffalo, New York. It was not long before she turned five that the family moved to Detroit, Michigan. Aretha Franklin's mother died not long before Miss Franklin turned ten. It was not long afterwards that she began singing solos in church. By the time she was twelve she was performing in churches around the country. As a gospel singer she was singed to J.V.B. Records and her first album, Songs of Faith, was released in 1956. She was only 16 years old when she went on tour with Dr. Martin Luther King, Jr. She was 18 years old when she made the decision to pursue a career in pop music. In 1960 Miss Franklin signed with Columbia Records. Her first secular single, "Today I Sing the Blues", was released that same year. In 1961 her first secular album, Aretha: With The Ray Bryant Combo, was released in 1961. While with Columbia Records, Aretha Franklin had a few singles chart on the Billboard R&B charts. "Won't Be Long" peaked at no. 7 on the chart, while "Operation Heartbreak" peaked at no 6 on the chart. Others reached the top forty of the Billboard R&B chart. Aretha Franklin spent six years with Columbia Records, after which she elected not to renew her contract. She signed with Atlantic Records. It was there that she had her first major hit. "I Never Loved a Man (The Way I Love You)" hit no. 1 on the Billboard R&B chart and no. 6 on the Billboard Hot 100. Her next single, a cover of Otis Redding's "Respect", did even better. It hit no. 1 on the Billboard Hot 100 and the Billboard R&B chart. It peaked at no. 3 in Canada and no. 10 in the United Kingdom. In the late Sixties she would have several other hits: "Baby I Love You", "(You Make Me Feel Like) A Natural Woman", "Chain of Fools", "(Sweet Sweet Baby) Since You've Been Gone", "Think", "I Say a Little Prayer", and "Don't Play That Song (You Lied)", among others. Her first album with Billboard, Lady Soul, peaked at no. 2 on the Billboard album chart. It was followed by several more successful albums in the late Sixties. Aretha Franklin began the Seventies with more major hits, including "Spanish Harlem", "Rock Steady", "Day Dreaming", and "Until You Come Back to Me (That's What I'm Gonna Do)". Unfortunately in the mid-Seventies, Miss Franklin's career went into a slight decline. After 1975 her highest charting single was "Something He Can Feel", which went to no. 28 on the Billboard Hot 100. None of her other singles even reached the top 40. She left Atlantic in 1979 and signed with Arista. It was during the Eighties that Aretha Franklin's career rebounded. In 1982 her single "Jump to It" peaked at no. 24 on the Billboard Hot 100. It was followed by much bigger hits during the decade. "Freeway of Love" peaked at no. 3 on the Billboard Hot 100 in 1985. It was followed by "Who's Zoomin' Who" (which went to no. 7) and "Sisters Are Doin' It for Themselves", recorded with Eurythmics (which went to no. 18). Miss Franklin continued to do well in the Eighties, even hitting no. 1 on the Billboard Hot 100 with "I Knew You Were Waiting (For Me)" (recorded with George Michael). She did less well in the Nineties, although her song "A Rose Is Still a Rose" peaked at no. 26 on the Billboard Hot 100 in 1998. While Aretha Franklin would have only a few hits from the Nineties onwards, she continued to record albums until last year. Throughout her career she recorded over forty studio albums and seven live albums. Her best selling album was actually one of her live albums, Amazing Grace, which consisted of gospel tunes performed by Miss Franklin at the New Temple Missionary Baptist Church in Los Angeles. It was also the best selling live gospel album of all time. Her last album was Brand New Me, released last year. Over the years Aretha Franklin gave several notable performances. She performed at the Royal Command Performance in the United Kingdom in 1980. She also performed at the funerals of Dr. Martin Luther King, Jr. and Rosa Parks, as well as the inauguration of President Barack Obama. Aretha Franklin also appeared in the movies The Blues Brothers (1980) and The Blues Brothers 2000 (2000), as well as guest starring on the TV shows Room 222 and Murphy Brown. In addition to her career as a music artist, Aretha Franklin was active in the Civil Rights Movement. Her father organised the 1963 Detroit Walk to Freedom, and Miss Franklin toured with Dr. Martin Luther King, Jr. when she was only 16. After she met with success as a recording artist, she was known to pay for civil rights tours and to help with fundraising. Her version of "Respect" became an anthem for the Civil Rights Movement almost immediately upon its release. 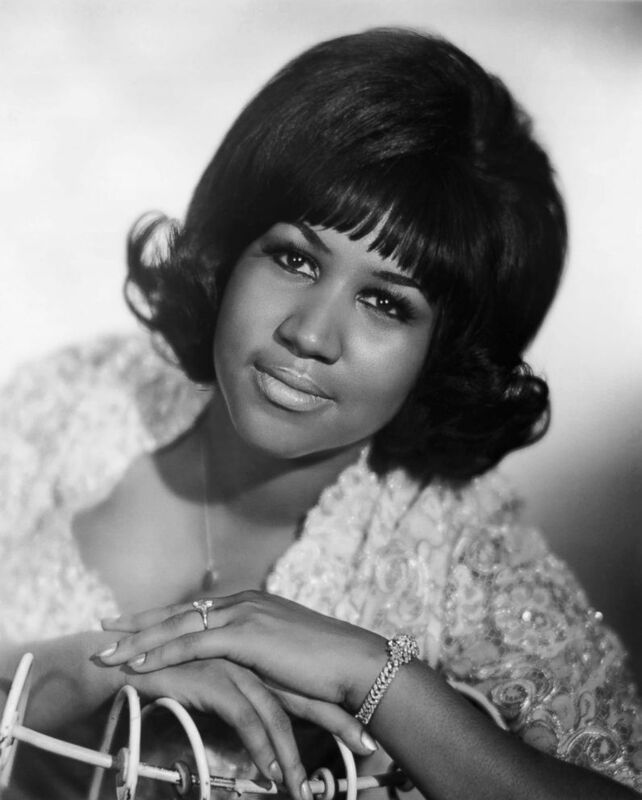 It was in 1967 that WVON radio personality Pervis Spann proclaimed Aretha Franklin the "Queen of Soul" after a performance at the Regal Theatre in Chicago. There can be no doubt that Aretha Franklin deserved the title. She numbers among the most successful recording artists of all time. As mentioned earlier, she reached the Billboard charts more times than any other female artist. Including special awards, she won twenty Grammys and was nominated many more times. The list of the many honours Miss Franklin received over the years would be a very long one indeed. Indeed, it is impossible to fully measure the influence of Aretha Franklin. Her songs became part of the soundtrack of America in the late 20th and early 21st Centuries. She was also an artist who transcended genres. She may have been the Queen of Soul, but her influence could be felt on genres from rhythm and blues to rock music and even to country and hip hop. Artists as diverse as Annie Lennox and Alicia Keys were influenced by her. Aretha Franklin had a powerful voice and she sang with feeling in such a way that few singers have before or since. When Aretha Franklin sang, people felt it. Aretha Franklin was a singular performer, and we will never see her like again. I am sure most of you know that Aretha Franklin, forever the Queen of Soul, died today at the age of 76 from pancreatic cancer. Tomorrow I will publish a eulogy in her honour, but for now I would like to leave you with three of my favourite songs that she recorded. Today Vox published an article titled "Stop calling teenagers millennials". I have no doubt this confused many older people who tend to think of the term "Millennial" as only referring to kids in their teens and twenties. For those of you who don't know, the term "Millennial" technically refers to members of what we once called (and some of us still call) "Generation Y". The term was coined by historians William Strauss and Neil Howe in 1987 to refer to the generation following Generation X. Messrs. Strauss and Howe treat Generation Y as beginning in 1982. That having been said, many (including myself) begin the generation earlier. MetLife treats Generation Y as lasting from 1977 to 1994. Nielsen Media Research sets the dates for Generation Y as being from 1977 to around 1995 or 1996. Personally, I always thought of Generation Y as lasting from 1978 to around 1994. If the term "Millennial" was originally meant to refer to people born in the late Seventies, throughout the Eighties, and into the Nineties, why is it still being used of teenagers to this day? I think the confusion over the meaning of Millennial rests with the term itself. Speaking for myself, "Millennial" sounds like it refers to someone born shortly before, at, or shortly after the start of the Millennium. Given this, it makes no sense to refer to someone born in 1992, let alone 1977, as being a "Millennial". In fact, when I first heard the term "Millennial", I thought that it referred to people born, at the earliest, in 1994 or 1995. In other words, I thought it referred to kids. What is more, I used it that way too. This confusion is made all the more worse by the stereotypes the media decided to attach to "Millennials". According to the media, Millennials grew up with digital media instead of CDs (they never knew vinyl), are obsessed with their smart phones, take endless selfies, and are active on social media. This does not fit any member of Generation Y I know. My oldest Gen Y friends grew up at a time when vinyl was still common place, cassettes were the dominant means of listening to music, and CDs were rapidly overtaking both vinyl and cassettes. Some of my Gen Y friends don't even own smart phones and those who do are on them no more than Gen Xers and Baby Boomers (going by my brother and my older sister, Xers and Boomers might just be on their phones more...). They certainly didn't have them (or any other mobile phone, for that matter) as children. My Generation Y friends also don't take a lot of selfies. In fact, I have one Gen Y friend who hasn't changed her Facebook profile picture in about 8 years and, it isn't even her--it is her old Mad Men avatar! While the stereotypes the media have applied to Gen Y don't seem applicable to any mid-twentysomethings and thirtysomethings I know, they seem perfectly applicable to many teenagers I know, individuals who just happened to be born at (yes, that's right) the start of the Millennium. Of course, such confusion over generations is nothing new. William Strauss and Neil Howe always treated Generation X as taking place between 1961 and 1981, but many insist on treating Generation X as starting in 1965 and ending around 1979 or 1980. Speaking as a Gen Xer myself, I always think of Gen X as starting in either 1961 or 1962 and ending in 1977. I certainly do not identify as a Baby Boomer! Sadly, there are some who will insist on calling me one, so I can fully understand Gen Yers' frustration with the term "Millennial" being used of both themselves and today's current crop of teenagers. Personally, I think the best idea would be to simply go back to calling those born from the late Seventies to the early Nineties "Generation Y". As to the kids born after that, I fear that calling them "Millennials" would simply continue the confusion. Given 2001 saw the start of the third millennium, perhaps we can simply call them "Trimillennials". Okay, I don't like the term either, but given the confusion over the term, we probably shouldn't continue calling them (or anyone else, for that matter) "Millennials" either. Yesterday I wrote about Lionel Barrymore's radio career, which included appearances on The Rudy Vallee Sealtest Show on which his brother John was a regular. This is the first episode of The Rudy Vallee Sealtest Show on which Lionel Barrymore guest starred. It aired on May 1 1941. Today when people think of radio in the United States, music or talk shows likely to come to mind. That having been said, there was a time when scripted dramas and comedies were regularly heard on American radio. It was the era of Old Time Radio, when the radio networks (NBC, CBS, Mutual, and later ABC) aired a wide variety of programmes, from dramas to game shows. From the early Twenties to the early Fifties, radio was the dominant mass communications medium in the United States. It should then come as no surprise that some of the biggest stars of stage and screen had very extensive careers in radio. Among these was Lionel Barrymore. Not only did Lionel Barrymore make many guest appearances on radio shows, but he even starred in his own radio shows. From 1942 to 1949 he starred as the mayor of the title on the comedy-drama Mayor of the Town. Mr. Barrymore was hardly the only big name star in the cast of the show. 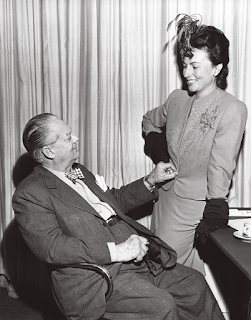 Agnes Moorehead played his housekeeper Marilly. Of course, Lionel Barrymore was much more than the star of Mayor of the Town. Mr. Barrymore composed the theme for the show and acted as something of a story editor. Following Mayor of the Town, Lionel Barrymore starred on a syndicated radio show based on a property with which he had already long been associated. Lionel Barrymore had played Dr. Kildare's mentor Dr. Gillespie in MGM's series of "Dr. Kildare" movies. After Lew Ayres (who played Kildare) left the series, Lionel Barrymore continued in a series of films in which Dr. Gillespie was the main character. It was then natural that Mr. Barrymore should reprise his role as Dr. Gillespie for the syndicated radio show The Story of Dr. Kildare. Lew Ayres returned in the role of Dr. Kildare. It appears that The Story of Dr. Kildare debuted on September 27 1949 on Chicago station WGN. The series ran until 1952. In addition to Mayor of the Town and The Story of Dr. Kildare, Lionel Barrymore also starred in a radio adaptation of Charles Dickens's A Christmas Carol that aired each year on CBS on Christmas Day from 1934 to 1953. There would only be two years in which Lionel Barrymore did not play Scrooge on the broadcast. 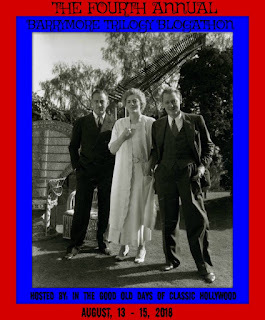 The first was in 1936 when Mr. Barrymore's wife had died. His brother John Barrymore played the role of Scrooge that year. The second time was in 1938 when Lionel Barrymore was ill and the role of Scrooge was taken over by Orson Welles. Lionel Barrymore was so popular in the annual broadcasts of A Christmas Carol that he was MGM's first choice to star in their 1938 film adaptation of A Christmas Carol. Unfortunately Mr. Barrymore's arthritis flared up and the part was ultimately played by his friend Reginald Owen. Lionel Barrymore also appeared on a regularly scheduled radio show that aired on the Armed Forces Radio Service. Mr. Barrymore had wanted to do something for those in the military during World War II. At the same time he loved classical music. It was then that Mr. Barrymore hosted Concert Hall on the Armed Forces Radio Service. The show debuted on August 17 1944 and aired until 1949. Lionel Barrymore not only hosted Concert Hall on the Armed Forces Radio Service, but he also hosted the radio version of The Hallmark Hall of Fame. The Hallmark Hall of Fame was in some respects a continuation of Hallmark's earlier radio show, Hallmark Playhouse. It debuted on February 8 1953 and ran until March 27 1955. It would be on The Hallmark Hall of Fame that Lionel Barrymore would play Scrooge for the last few times. Of course, over the years Lionel Barrymore made numerous guest appearances on various radio shows. In fact, he made multiple appearances on such shows as Lux Radio Theatre, Command Performance, Screen Guild Theatre, Family Theatre, and The Cavalcade of America. Not all of Mr. Barrymore's guest appearances were on radio dramas, as he appeared on variety shows as well. He guest starred on The Rudy Vallee Sealtest Show (on which his brother John was a regular) multiple times. He also appeared on Kraft Music Hall and Mail Call. In the Thirties and Forties Lionel Barrymore was nearly as well known for his work in radio as he was his work in film. In fact, Mr. Barrymore has two stars on the Hollywood Walk of Fame. One is for his work in motion pictures. The other is for his work on radio. Fortunately, much of Lionel Barrymore's work in radio has survived to this day, so that individuals can still enjoy episodes of Mayor of the Town and The Story of Dr. Kildare, as well as his many guest appearances on radio shows.